Clinic Synopsis: This session will focus on the primary techniques needed for the young timpanist to produce a quality sound and perform with musical sensitivity. Techniques covered will include grips, beating spots, stroke production, roll production, cross-sticking, dynamics, mallet selection and aspects of tuning. Clinician Biographical Information Dr. David Collier is Professor of Percussion and Director of Percussion Studies at Illinois State University. In addition, he serves as Associate Director of the School of Music. Dr. Collier is currently principal timpanist with the Illinois Symphony Orchestra, the Peoria Symphony Orchestra and the Heartland Festival Orchestra. He has served as timpanist with the Springfield Symphony Orchestra, the Sinfonia da camera, the Laredo Philharmonic and the Corpus Christi Symphony. In addition, Collier is also active as a freelance percussionist and has performed with artists such as Mannheim Steamroller, Marvin Hamlisch, Joel Gray, Mitzi Gaynor, Henry Mancini, Johnny Mathis, Tony Bennett, Petula Clark, Aretha Franklin, Tommy Tune, Roger Williams, Shirley Jones and Bobby Vinton. Dr. Collier received his Bachelor of Music degree from Florida State University, his Master of Music degree from Indiana University--where he was awarded a Performer’s Certificate--and his doctorate in Percussion Performance and Electronic Music from the University of Illinois. 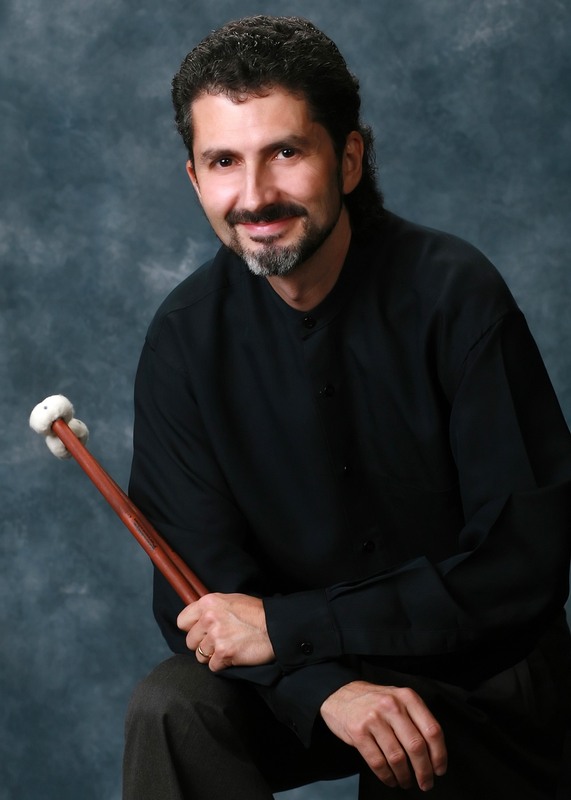 Dr. Collier is a Performing Artist for Yamaha and an artist/clinician for Sabian, Innovative Percussion, Grover Pro Percussion, Evans and Latin Percussion. Dr. Collier also serves as Percussion Coordinator for the Music for All Honor Band of America and the Summer Percussion Symposium. In addition, he has served as an adjudicator for Drum Corps International and Bands of America. Not just an orchestral musician, Collier loves all genres of music and has recently returned to his roots as a jazz drumset player. Outside of music he enjoys reading, cooking, taking very long walks and going to the gym.